Kong Jie defeated Chen Yaoye (Tianyuan titleholder) in the 5th Qiwang final. 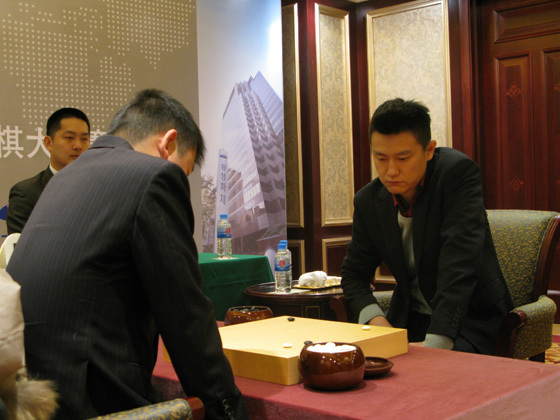 Qiwang Cup is a knock-out tournament with one game in the final. This must be Kong Jie’s best year so far, as he won the international Samsung Cup, as well as international Asian TV Cup, while in China he won CCTV Cup and now Qiwang Cup. The record of the final game is here. Kong Jie (white) won by resign. Song Ronghui 5 dan of China, the star of the previous edition (when she eliminated seven opponents in a row), is in the driver seat after defeating Mukai Chiaki of Japan. Here is the game record. Song Ronghui (white) won by 4.5 points. After Song Ronghui’s victory, there is only one player left for each of South Korea and Japan, and three players for China. Song Ronghui’s next opponent is Park Jieun 9 dan of South Korea, on February 1st 2010. Park Jieun is the one who eliminated Song Ronghui last year, so this encounter is Song Ronghui’s chance for revenge. 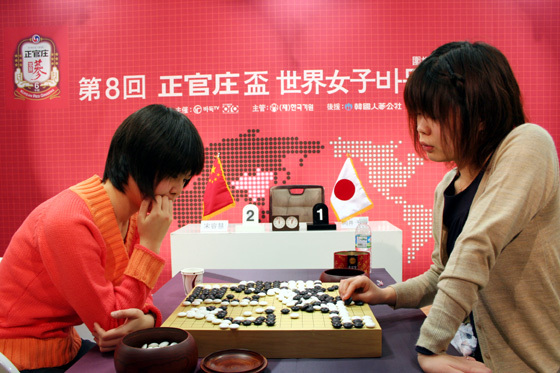 Cao Youyin of China defeated Umezawa Yukari of Japan after defeating Park Sohyun of South Korea. Then she lost to Korean Kim Hyeoimin. 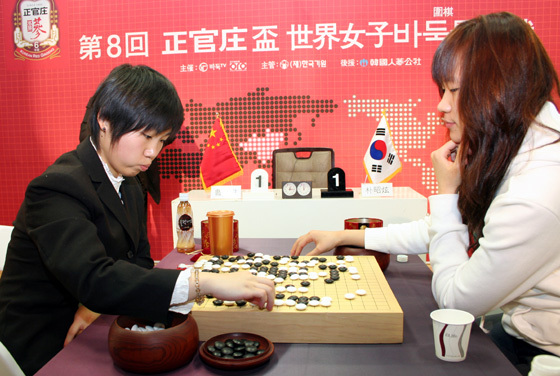 The spectacular part of the Jengganjang Cup is the fact that any particular player can win the tournament for her country if she doesn’t lose any game. The longest winning streak this year was that of Wang Chenxing of China, who won three games in a row. Kim Hyeoimin was eliminated by Mukai Chiaki 3 dan of Japan. Here is the game record. Mukai Chiaki (black) won by resignation. Mukai Chiaki will play against Li He of China tomorrow in the last game of this second stage of the competition. The complete tournament table is here. 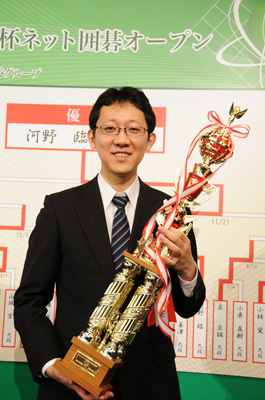 Yamashita Keigo won the fifth game in the best-of-five Tengen title match and captured the title from Cho U with a 3:2 score. This title match must have been very tensed especially since these two will meet again very soon in an even more important battle: the first game of the Kisei title starts on January 14th with Cho as challenger, and Yamashita as the Kisei title holder. Cho U had mixed results this year: he lost the Meijin and Tengen titles, but defended Gosei and Oza. Will he be able to capture Kisei for the first time, especially from Yamashita who has been Kisei for four consecutive years? The 5th and decisive Tengen title game record is here. 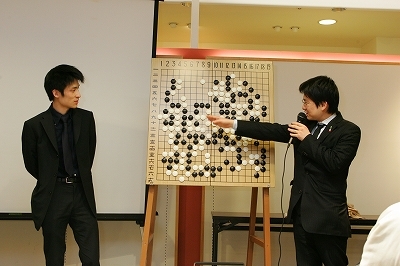 Yamashita Keigo (black) won by resignation. After eliminating Aoki Kikuyo of Japan, Park Sohyu 2p of South Korea lost to Cao Youyin 3p of China. Cao Youyin will play tomorrow against one of the remaining Japanese players. You can replay the game record below. Cao Youyin (white) won by resignation. The second stage of the 8th Jeongganjang Cup has started. Park Sohyu 2p of South Korea eliminated Aoki Kikuyo 8p of Japan yesterday. In this stage one game is played every day from December 20th to 25th. You can replay the game record below. 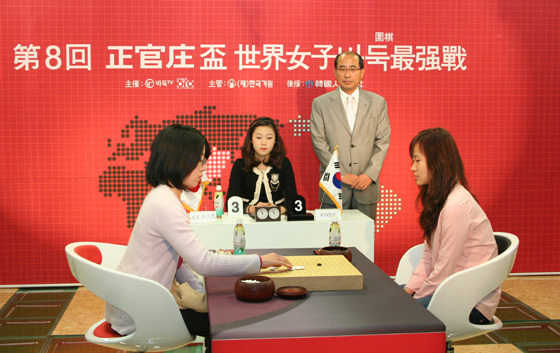 Park Sohyu (white) won by 6.5 points. Lee Changho won the last two games against Won Sungjin and won the Korean Myeongin title with a 3:1 score. The game record of the 3rd game is here. 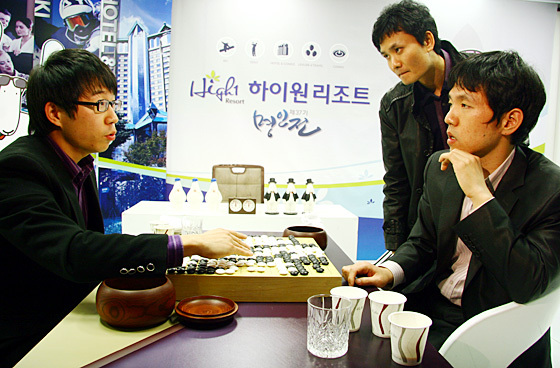 Lee Changho (white) won by 3.5 points. And here is the game record of the 4rd game. Lee Changho (black) won by half a point. 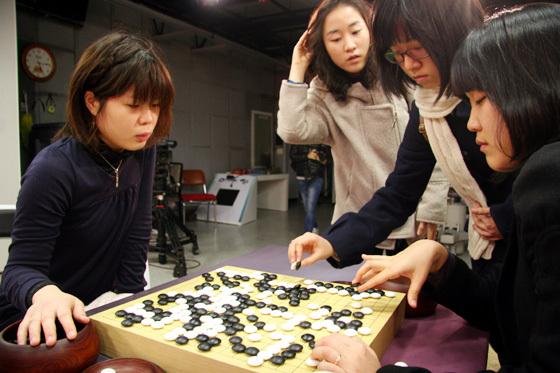 Won Sungjin defeated Lee Changho in the second game of the Korean Myeongin title so the score is 1:1. The next game will be played on December 8th. The game record is here. Won Sungjin (white) won by 1.5 points. You are currently browsing the 361points.com/blog blog archives for December, 2009.